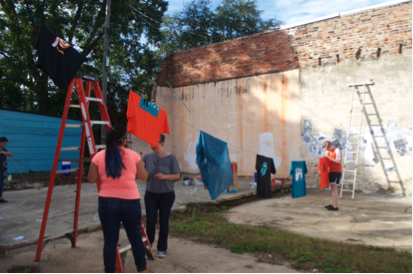 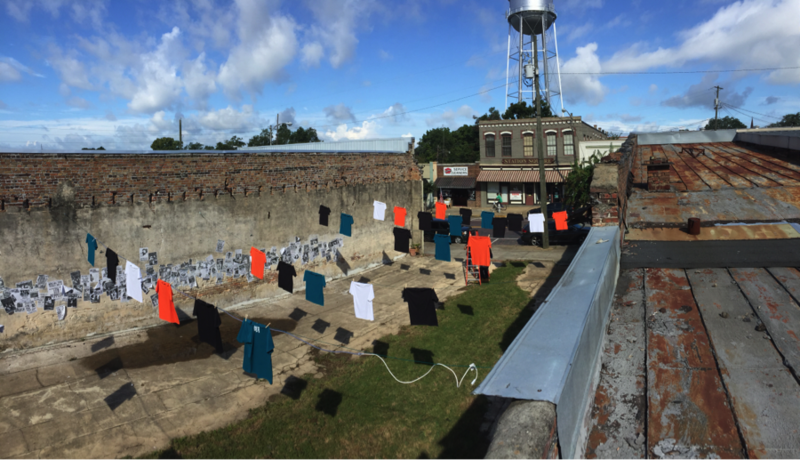 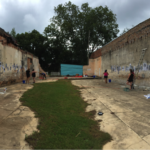 On the first day of the Fall 2015 semester, FSU’s Public Art and Architectural Art students were tasked with created a temporary installation for the Thomasville Center For the Arts annual Flaunt festival. 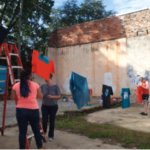 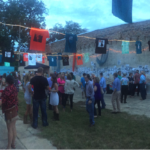 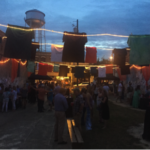 This year’s theme was “Rock On” and the students were asked to transform an empty lot in Thomasville into an engaging public site for the festivals opening night. 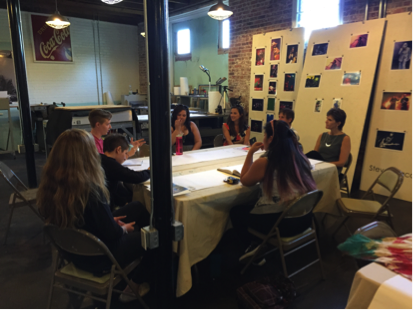 To begin the process, students did an on-site brainstorming session before meeting with representatives from TCA to discuss their concepts. 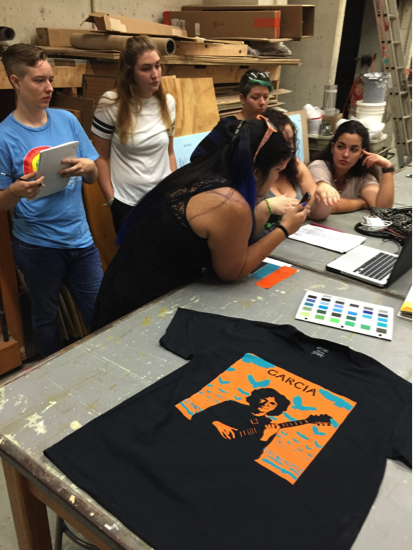 Upon approval of a direction, they immediately began the process of gathering needed images and materials. 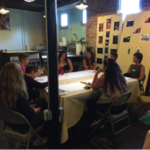 This type of assignment helps bridge the gap between classroom and ‘real world’, enabling a greater degree of ownership (and responsibility) in the end product. 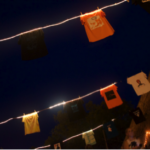 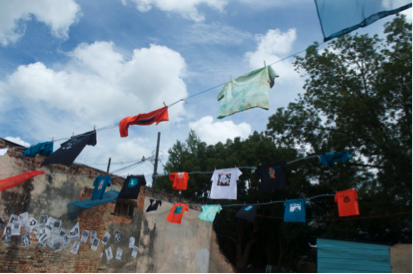 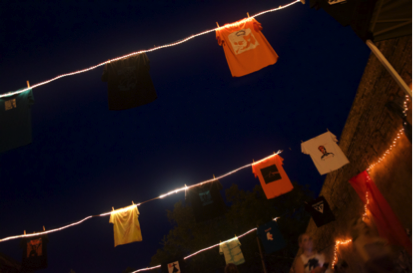 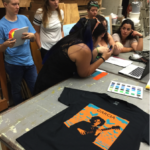 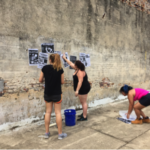 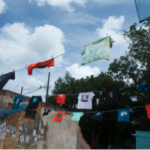 Over the course of two weeks the students printed original t-shirts based on album covers represented as murals around Thomasville, and reproduced original band and musician posters from the 1970’s. 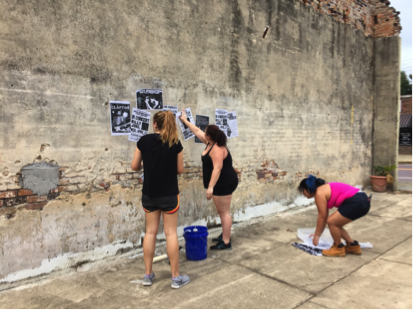 Walls of the abandoned lot were transformed by wheat-pasting the posters while t-shirts were stung across the space on lighted lines. 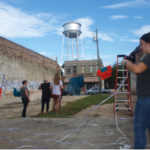 Their objective was to work with the decay and history of the space while creating an atmosphere of nostalgia and celebration focused on the established theme. 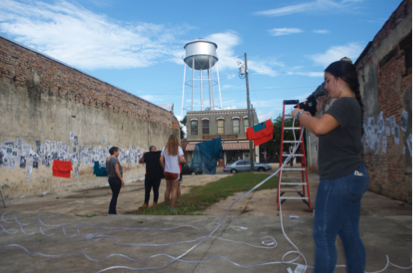 The students in this semesters studio class have set a precedent as the Thomasville Center for the Arts was delighted with the results and is now interested in continuing to work with students from FSU on future projects. 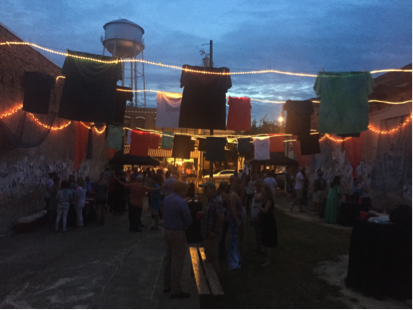 Thomasville Center for the Arts Facebook page has additional images of the event.